Applying for an SBA loan requires four steps, including determining your eligibility, finding the right SBA loan provider, assembling your paperwork, and completing the SBA application and forms. Getting an SBA loan can take about two to three months with a traditional SBA lender, or as few as 30 days with an SBA loan broker. For the fastest, most streamlined SBA loan process, we recommend SmartBiz. They offer SBA working capital loans up to $350,000 and commercial real estate loans up to $5 million. Loans have terms of 10 or 25 years and rates start at 7.00%. Their online application can have you pre-qualified in a few minutes and funded in about 30 days. The first step when learning how to apply for an SBA loan is to determine if your business is eligible. You’ll typically need to meet both general SBA loan qualifications and SBA 7(a) loan requirements unless you’re applying for another type of SBA loan. Once you’ve determined your eligibility, we’ve created a free SBA loan documentation checklist that will help you get your paperwork in order. As you learn how to apply for a business loan from the SBA, it’s important to consider the requirements. SBA loans are available to both startups and established businesses. Qualifying as a startup is more difficult, as you need to meet the requirements below plus demonstrate that you have experience and provide a business plan. Credit Score: 680+ for all primary business owners (check your score for free). Down Payment: 10% or more if you’re using the loan proceeds to purchase a business or commercial real estate. Collateral: SBA loans don’t need to be 100% collateralized, but the more business and/or personal collateral you bring to the table, the easier it will be to get your loan approved. Repayment Ability: You need to have sufficient cash flow to cover all your loans with a cushion. A business debt service coverage ratio (DSCR) of 1.25x is typically sufficient. Time in Business: Two+ years. As noted, startups can get SBA 7(a) loans, but it is more difficult. When considering how to qualify for an SBA loan as a startup business, you need to have all the above plus sufficient management and industry experience. Owner-Occupied: Commercial real estate loans must be 51% or more owner-occupied. Other Requirements: No delinquencies or defaults on debt obligations to the U.S. government (including student loans). Additionally, your business will need to be profitable. The SBA loan requirements pertain to qualifications and eligibility. To qualify for an SBA loan, you need good credit (680+), management experience, and sufficient cash flow (minimum 1.25x DSCR). You’ll need to provide collateral and personal guarantees from all 20%+ business owners. To be eligible, you need to be a for-profit, U.S.-based small business. A small business as defined by the SBA (generally means under 500 employees or less than $7.5 million in annual sales). Engaged in an industry that is eligible, such as restaurant, retail, or hospitality (most active, non-speculative businesses qualify). A for-profit business engaged in, or planning to do business in, the United States or its possessions. Using alternative financial resources, including personal assets, before seeking financial assistance. Able to demonstrate a need for the loan that also qualifies as a sound business purpose. Required to create or retain jobs and meet public policy goals that are in line with the SBA goals. Sound like you? You can get pre-qualified for an SBA loan in minutes by filling out SmartBiz’s online form. They are one of the fastest providers we’ve seen. In fact, they’re who Fit Small Business used to get an SBA loan! SmartBiz offers SBA working capital loans up to $350,000 and commercial real estate loans up to $5 million. Loans have terms of 10 or 25 years. If you meet the SBA loan requirements and qualifications, the next step is to find an SBA loan provider to originate and service your loan. One online SBA loan provider is SmartBiz. They take the guesswork out of how to apply for a business loan from the SBA. SmartBiz can get you pre-qualified in minutes and funded in as quickly as 30 days. Finding an SBA loan provider means reaching out to direct lenders like banks and brokers. The right one for you will depend on your current banking relationship, how much you’re looking to borrow, how fast you need funds, and your planned use for the funds. As you consider how to get an SBA loan, let’s take a look at each loan provider option in greater detail. In general, it’s a good idea to find a direct lender that regularly works with SBA loans. These providers are more likely to approve your loan application and typically know how to deal with unique circumstances you may have because of their experience. Direct lenders include traditional banks, credit unions, or other traditional lending institutions. How familiar are you with the SBA 7(a) borrowing and lending processes? Will I need a down payment? If so, how much? What are the approximate interest rates I might qualify for on an SBA loan? If the lender you speak with isn’t sure about their bank’s SBA loan performance, you can browse through the SBA’s list of the 100 top SBA lenders. These lenders are more experienced with SBA loans than anyone else and should be able to answer your questions. SBA loan brokers can provide a valuable service to small business owners by leveraging their expertise. Brokers have a keen understanding regarding which lenders will be most likely to approve your loan for your type of business as well as how to present your business’ loan request so it has a better chance of approval. Additionally, SBA loan brokers can save you a lot of time and headache by coordinating all the lender’s document requests and other communications. However, not all small business loan brokers are created equal. As you think about how to get an SBA loan, putting together a list of questions for your potential loan broker is an important step. How do you get paid? How much? When? How familiar are you with the SBA 7(a) loan process? What are the approximate interest rates I might qualify for an on SBA loan? When you find a lender, you should try to find out as much information about their SBA interest rates and fees as possible. The SBA sets a cap on interest rates, but exact rates may vary by lender. Read our article on SBA Loan Rates before you begin shopping around. Once you’re pre-approved, you can use our SBA Loan Calculator to estimate your monthly payments. SmartBiz is an SBA loan broker that is experienced at getting borrowers through the application process quickly. Their experience makes the process of applying for an SBA loan much easier. They can help you get funded for up to $5 million in as quickly as 30 days. You can pre-qualify by filling out their online application. Once you have selected an SBA lender or loan broker, you should begin to assemble the documents required for your application. These documents include personal and business tax returns, projected business financials, resumes, leases, and your loan request. You can download our comprehensive SBA loan document checklist for more information. If you have a 20% or more stake in any other business or own rental properties, you will also need to provide documentation for those as well (e.g., financials, appraisals, leases, or rent rolls). These are used to verify your ability to repay the loan, making them especially important if you are a startup. The overall goal is to show a bank that your company is well managed and has an attainable plan to be profitable. So make sure you take the time to prepare a great business plan. This includes projections of how you expect the business to perform in the next three to five years. Much of the speed of your application process will depend on your ability to provide timely and accurate documentation to your loan officer or lender. Download our free SBA loan document checklist to make sure you collect all the information you need to streamline your loan process. SBA loan applications vary by lender, but they typically all request basic information about your business and the purpose of your loan request. This requested documentation helps the SBA get a better understanding of your business and how you intend to use and ultimately repay the funds you borrow. This application will be combined with all the other required information listed above in step three when you submit your documentation. Additionally, you’ll need to fill out other SBA forms depending on your personal or business situation. As part of your application, you will need to fill out some SBA forms before your loan can be approved. The forms you need to fill out depend completely on you and your business. SBA Form 1919 Guide – Borrower Information Form: Used for all 7(a) loans, this form is where you note down basic borrower information. The previous version, Form 4, is no longer in use. SBA Form 912 Guide – Statement of Personal History: This form is used to evaluate your character. SBA Form 413 Guide – Personal Financial Statement: This form is used to assess the personal financial standing of you, your spouse (if applicable), and anyone who is a proprietor of the business. SBA Form 159 Guide – Fee Disclosure Form and Compensation Agreement: This form is only necessary if you hired someone to help you with your SBA loan application. It details how much you paid them and the services they provided. Once you’ve completed all of your SBA forms and assembled your supporting paperwork, you will meet with your bank to finalize your loan application. This is where the process of getting an SBA loan is taken out of your hands. You’ll rely on your lender to push the loan forward and close quickly. An experienced SBA loan provider is invaluable if you need funds fast. SmartBiz can get your SBA loan funded in as soon as 30 days. It offers SBA working capital loans up to $350,000 and commercial real estate loans up to $5 million. Once you’ve learned how to apply for a business loan from the SBA, you can get pre-qualified with SmartBiz in minutes. You may qualify if you’ve been in business for two or more years and have a credit score above 680. Additionally, you’ll be asked to fill out SBA Form 1919 to provide the SBA with basic information about yourself. We’ve written a great article all about SBA Form 1919, which you can reference to better understand it or to download the actual form. SBA 504/CDC loans and SBA 7(a) loans can both be used for commercial real estate. Regardless of which loan you choose, the eligibility requirements, forms, and required documentation are almost identical to the working capital SBA 7(a) loan requirements. However, applying can be more complicated and time-consuming than a regular 7(a) loan. Commercial real estate typically has at least one tenant that pays rent, even if the only tenant is your business. You’ll need to provide rent rolls for all tenants involved with the property being purchased or used as collateral. A property appraisal will be ordered by the loan provider after your application is initially approved. You’ll typically pay for this appraisal. The amount your property appraises for may change how much you pay down or your maximum borrowing limit. A study showing any potential environmental issues around your property will be ordered by the loan provider after your application is approved. If any red flags show up, then a more in-depth study may need to be ordered before your property is approved by the loan provider. You’ll also need to provide a breakdown of costs that must be spent on an ongoing basis to upkeep the property. The loan provider will likely want to make sure you have the cash to handle these costs, even if you plan to pass much of it on to other tenants. Many lenders will require a report on the condition of your property to see what deferred maintenance items are coming up in the near future. The loan provider will typically want to be comfortable that you have the cash to make any standard facility upgrades or overdue maintenance. To get an SBA loan for your property, it must be at least 51% owner-occupied. If you are renting any portion of the property, then the loan provider will want to see all existing leases. They will also want to see any terms you and your tenants have agreed to that will go into effect after closing. Note: If you’re not going to occupy more than 51% of the property, you may want to consider a traditional commercial real estate loan. Many startups find SBA loans an attractive alternative to taking on high-interest rate debt, like using their credit cards. In 2018, 36% of SBA 504 and 7(a) loans went to new businesses, which included startups, business two years or younger, and business acquisitions. While existing businesses tend to receive almost twice the amount of SBA loans as startups, they’re still an excellent option for new businesses. The application process for a startup is virtually the same as it is for an experienced business. You may need to pledge additional personal collateral to get approved for your loan. The SBA likes to see that you have invested a portion of your own liquid savings into the business (usually 20% to 30% of the loan amount). You must have prior management experience in the industry to show that you can make the startup a success. Your approval chances increase if your business or industry is considered to be underserved. Two SBA loan programs that are more startup-friendly are the Community Advantage Program and the Microloan Program. 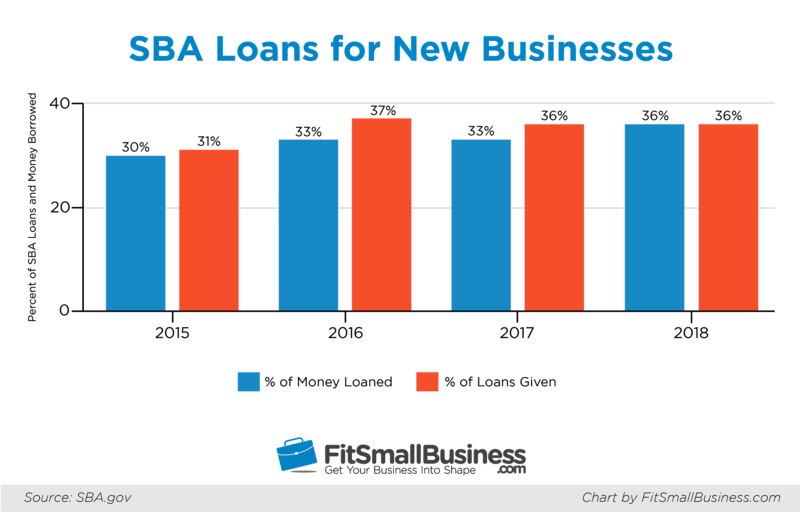 You can read our article to learn more about the various types of SBA loans. If you don’t think your business will qualify for an SBA loan, there are plenty of other startup loan options that might be available to you. If you’re looking for an SBA startup loan, we recommend working with Guidant Financial. 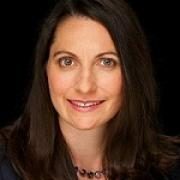 They are startup funding experts who can help entrepreneurs prepare an SBA loan package and identify an SBA lender who is most likely to fund your loan. They can also help borrowers find creative ways (including using retirement savings without paying penalties or taxes) to come up with the 20% to 30% down payment often required by SBA lenders. 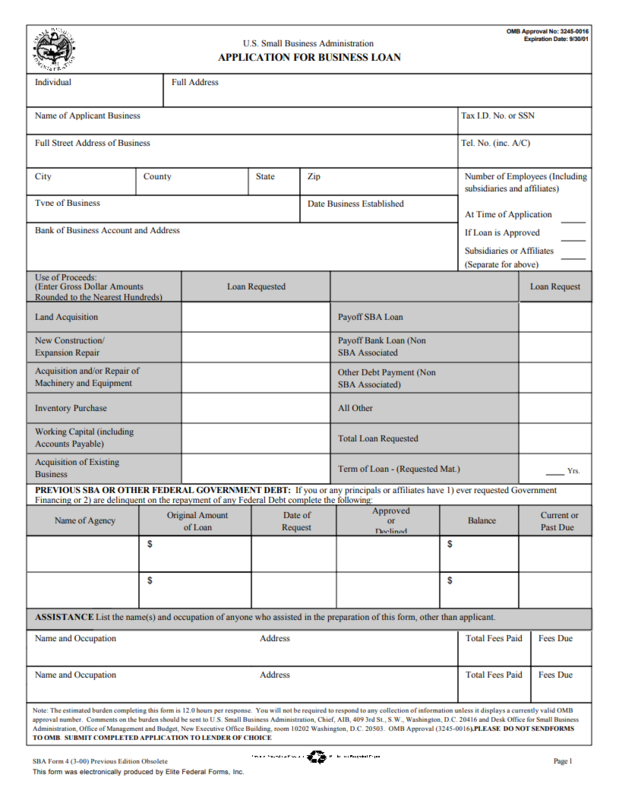 Fill out this short form to get a free SBA startup loan consultation with Guidant. The SBA loan timeline will depend on how familiar your SBA lender is with the type of SBA loan you want and how prepared you are with the required documentation. If you apply for an SBA loan online with someone like SmartBiz, you’ll likely experience SBA funding times under 30 days. Getting an SBA loan from traditional SBA lenders typically takes two to three months. First and foremost, you should prepare by following the four steps on how to apply for a business loan from the SBA we already discussed. By the end of the four steps, you’ve hopefully applied and have likely increased your chances of pre-qualifying for an SBA loan. Good preparation can help you accomplish this step in days versus weeks. Once you have submitted a full application, you can usually expect to hear back within one to two weeks. If your lender wants to move forward with the loan, they will provide you with an initial proposal, called a Letter of Intent (LOI). This will outline how much you qualify for and what you may expect as far as loan terms and rates. If you find the rates and terms agreeable, you will need to return a signed copy of the Letter of Intent to the lender pretty quickly. Most lenders will also require a small deposit, usually around $2,000 (refundable, minus third-party fees if the loan isn’t funded), in order to move forward with underwriting the loan. 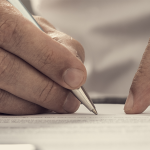 After submitting a signed Letter of Intent and deposit, formal underwriting will take place. Underwriting for an SBA loan can typically take two to three weeks. During that time, the underwriting team may have further questions about your financials and your plans for the loan proceeds, or they may request other relevant documentation. If underwriting is successful, your lender will give you a commitment letter outlining the terms of your loan and what steps remain before you can close. Accepting the commitment letter typically requires you to put down an additional deposit to show the bank you’re ready to move towards closing. The timeline for this step depends on how quickly you respond. This deposit is typically $5,000 or 5% of the loan, and it counts towards your down payment. It’s also typically refundable (minus third-party expenses) if the loan is not funded. During closing, loan terms are finalized. The amount of time it takes to close the loan is determined by the complexity of your deal, your lender’s familiarity with SBA loans, and the length of third-party work (like appraisals and environmental reviews). Eventually, you’ll sign the loan agreement, all closing costs and SBA guarantee fees will be paid, and the loan proceeds will be disbursed. The general application process for financing through a bank can be time-consuming and involve a lot of paperwork. Providing documentation and dealing with phone calls from multiple lenders can take up most of your time. This article has provided a lot of information about how to apply for a business loan from the SBA. However, some questions are asked more frequently than others. We’ve tried to address the most frequently asked questions here. If we haven’t answered your question, feel free to share it in the Fit Small Business forum and we’ll provide an answer. What Should I Do First When Considering How to Get an SBA Loan? An initial step when considering how to get an SBA loan is determining the eligibility of your business, as per the SBA’s requirements. Figuring out if you meet the SBA’s eligibility criteria early will make the process quicker. If you’re not eligible, you can quickly find an alternative financing solution, such as an online lender. Is It Hard to Get Approved for an SBA Loan? If your credit score is lower than 680, you’re a startup, or you’re delinquent on federal loans, it’s hard to get approved for an SBA loan. If your credit is good and you meet the SBA’s requirements, it’s easier to get approved for an SBA loan. It’s also easier if you provide all requested information. How Can I Improve My SBA Loan Application? A key to improving your SBA loan application is paying close attention to the SBA loan requirements and qualifications. Take time to assemble and organize your SBA loan paperwork, and make sure you’ve included everything before submitting your loan application. Using a loan document checklist makes it easier to ensure you’ve included all the paperwork. Have a business plan and provide a copy to the lender. [This is] especially important for new or newer companies. Be precise when indicating how much you need to borrow and very detailed on how those funds will be used. Answer all questions on the application forms. Missing information can delay the application. The time it takes to get an SBA loan depends on your lender and how quick you are at responding to their questions. This time frame could be anywhere from 30 to 120 days or more. You can significantly reduce this timeline by providing the required documentation initially and promptly responding to any requests. Learning how to apply for an SBA loan can be a complicated process. It can take a significant amount of time away from running the day-to-day operations of your business, even if you’re pursuing an SBA express loan. To speed up the process and make sure you apply correctly, partner with a loan provider that is well-versed in SBA lending. SmartBiz can make getting an SBA loan much easier for you by dealing with most of the paperwork on your behalf. They can also get you funded with an SBA loan faster than anyone else we’ve reviewed, funding in as quickly as 30 days after you learn how to get an SBA loan. You can qualify for up to $5 million by filling out an online application that only takes a few minutes. 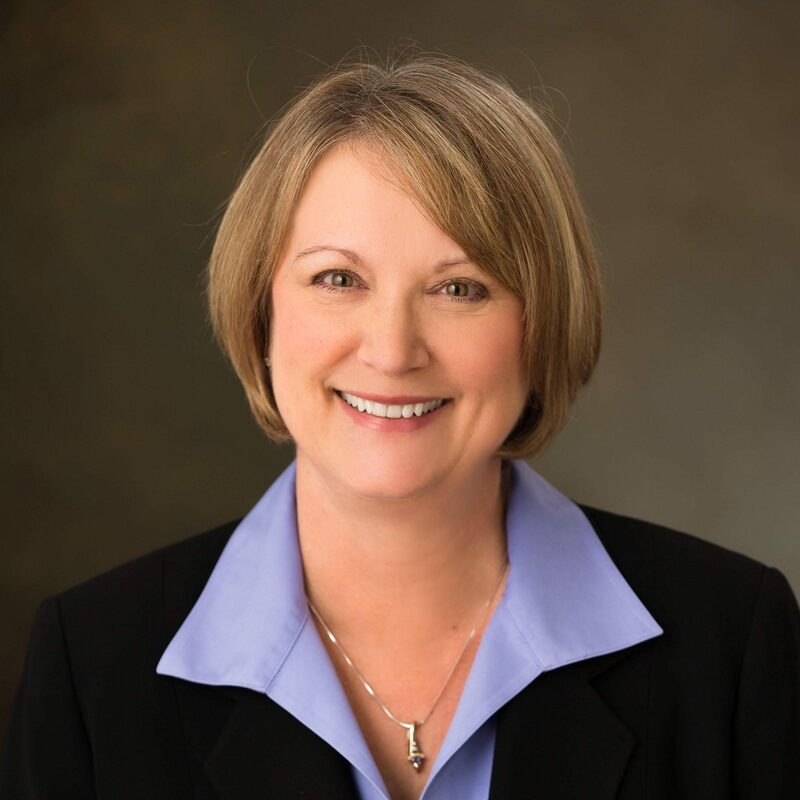 Really helpful article outlining the SBA loan application process! 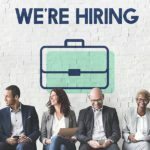 I consulted this article, along with an additional article at https://www.inc.com/guides/2010/04/securing-sba-loan.html for information on the guidelines regarding SBA loans. The link above also includes a useful and quick question air related to help figure out the beast type of loan for your individual company.